I am trying to make more time to make things. I love making and creating - it feeds my soul and it makes me happy. One of the things I love to make is stuff for the kids to play with. 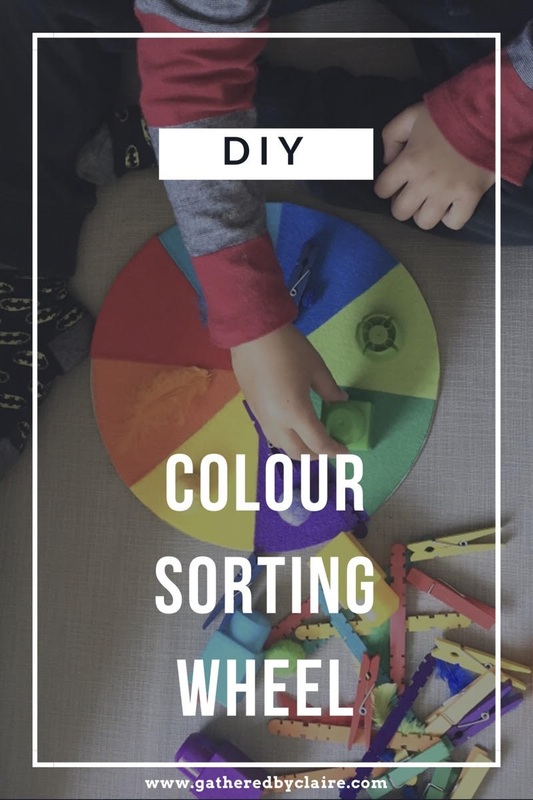 Playing = learning for small kiddies and this colour wheel is an easy and fun activity to keep them busy and learn about colours. I traced a circle from one of my baking bowls onto the card and cut out a circle. I then measured 8 equal "slices" and then cut the felt to fit these. This was quite difficult but I made it work by cutting one a bit smaller eventually. Seriously, at the end of the day perfection is not the point of this exercise. It is for your kids to play with something you lovingly made. I gathered different coloured objects from around the house - I used coloured sticks, pegs, pouch lids, blocks, pom poms and feathers. Jack loves it and Harry is beginning to play with it now too. Such a simple yet effective activity to bring out and keep them occupied. Happy May and some exciting news!